120 California pastors engaged in the May 2018 Church United Awakening Tour Sacramento. California pastors met with their state Senators and Assembly members to pray with them. They also sang in the Capitol’s rotunda All Hail the Power of Jesus’ Name, The Battle Hymn of the Republic, and Amazing Grace. Pastors learned about Assembly Bill 2943 targeting former homosexuals and former lesbians who left these lifestyles. The bill would prohibit their speech and the speech of therapists, counselors, and pastors and prohibit the sale of publications that do not affirm homosexuality deeming them ‘fraudulent’ and ‘deceptive.’ The proposed bill was withdrawn on August 31, 2018. Church United Awakening Tour Sacramento February 2018. Over 100 pastors engaged legislators in California’s State Capitol. 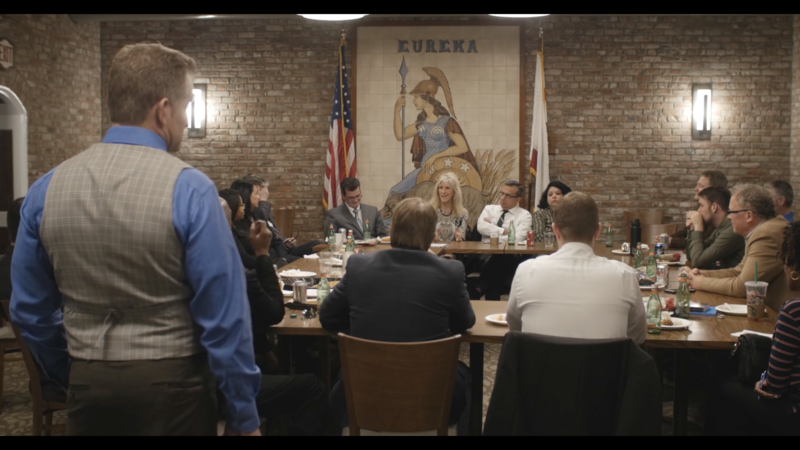 The video thumbnail shows California pastors praying over Assemblyman Jim Patterson from the Central Valley. Bills become laws through the committee and lobby processes. To influence elected officials to vote through the legislative process. To strategically target committee members. In February 2017, Church United did a pilot project at California’s Capitol with 24 California Pastors of Regional Influence (there was no expense to the pastor or his/her church). The pastors were awoken! Almost all confessed they had neglected Paul’s command to pray for those in authority (1 Timothy 2) and did not even know the names of their California Senator or Assemblyman. The pastors heard from godly, conservative Senators and Assemblymen with biblical worldviews and realized they needed to stand with the godly elected people in California’s Capitol. The California regional pastors of influence were moved to action! Almost all of them met with their Assemblymen and Senator and prayed with them for the first time. The pastors also scheduled future meetings in their districts to continue to build relationships. The regional pastors of influence also saw the enormous evil facing California from the legislature. California Regional Pastors of Influence meeting in the Eureka Room in California’s State Capitol.